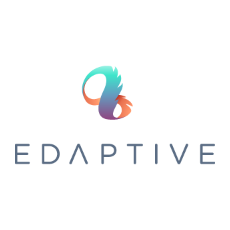 Edaptive is an Australian-based, boutique web design studio and digital marketing team who help businesses effectively promote their brands on the web. Edaptive's business web hosting at Equinix Data Centers‎ takes advantage of Australia’s fastest hosting for unbeatable performance and reliability with CloudFlare’s global Content Delivery Network (CDN). Custom web development and systems integration when you require a solution outside the norm. Edaptive interfaces with back-end systems and provide custom web application development services. With Edaptive's Mobile eCommerce service, keep your business open 24/7 with fully featured, mobile-ready eCommerce online shops. They look as good on a desktop computer as they do on your customers' smartphones, and they're accessible anytime, anywhere. Today’s audience interacts online on a number of different devices. Edaptive understands the importance of a unique user experience and making an impact on all platforms, from mobile to desktop. Websites and content optimized to rank higher in a search engine’s unpaid results receive more hits, reach a larger audience and more customers who are trying to find your business online. The benefits of social media to reach a larger audience in more ways is endless. Edaptive works with their clients to develop effective strategies to build brand awareness, generate leads and increase sales.